Original run: March 7, 2015 – ??? 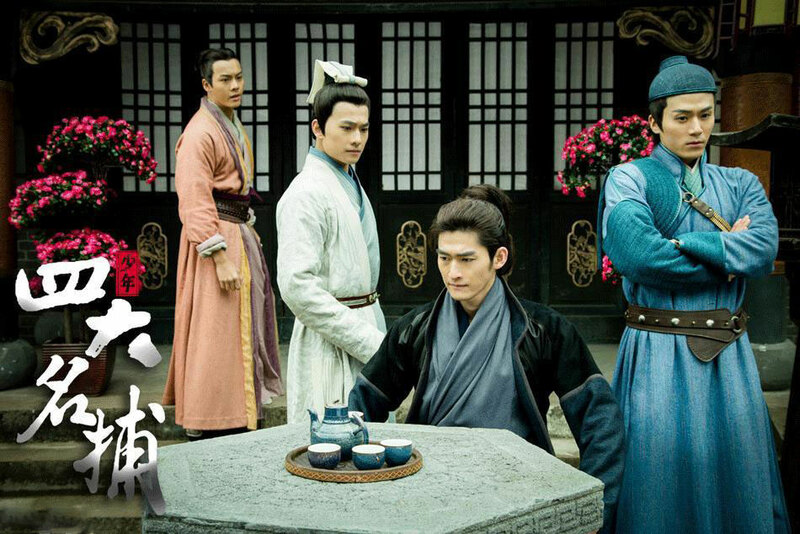 Set in the Ming Dynasty, a retro version of F4 composed of Leng Xue (Cold Blooded), Zhui Ming (Chasing Life), Wu Qing (Feelingless) and Tie Shou (Steel Hand) are the protectors of the capital. There are a series of weird attacks on the city that the Four might figure out together while also managing their busy love lives. The episode begins with an old man storyteller who is recounting the incident where our heroes are perched on top of a building about to face off with the Si Da Xiong Tu, literally “The Four Mean & Horrible.” These four bad guys are hanging out in some tower with a white haired man. Soon after, the bad guys swoop down in flight as they ready for a fight. 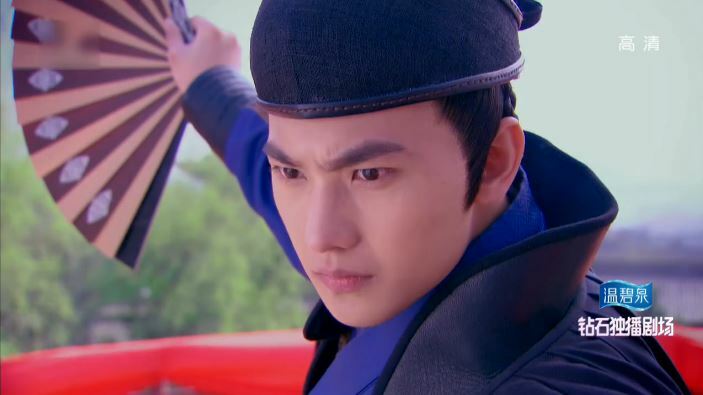 They are seeking revenge on Sheng Hou Fu (the detective institution that houses our ancient time F4 and their teacher, Zhu Ge) because it had jailed them for umpteen years. Of course, our heroes are looking as cool as ever, making all sorts of chillaxed poses because you know, they got this all under control. The bad guys make it to them and an on-water chase scene ensues. 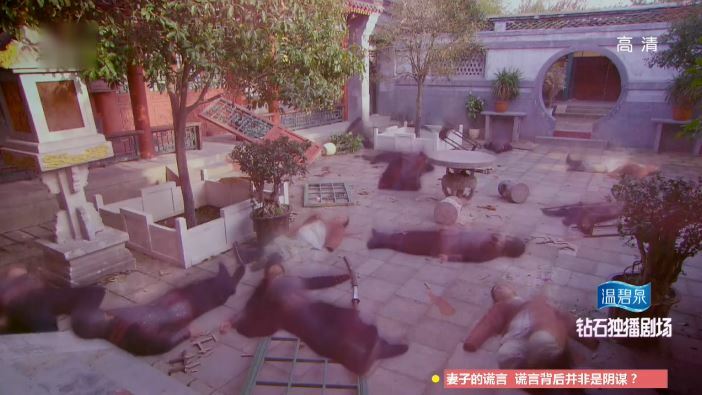 The only female of the team fights with Zhui Ming on some bamboo construction site (poor workers) and he successfully rips off her cape (ohhhh, tsk tsk, Zhui Ming!). Next up is Tie Shou and some dude wielding a hefty broadsword; they seriously damage some lion statues. 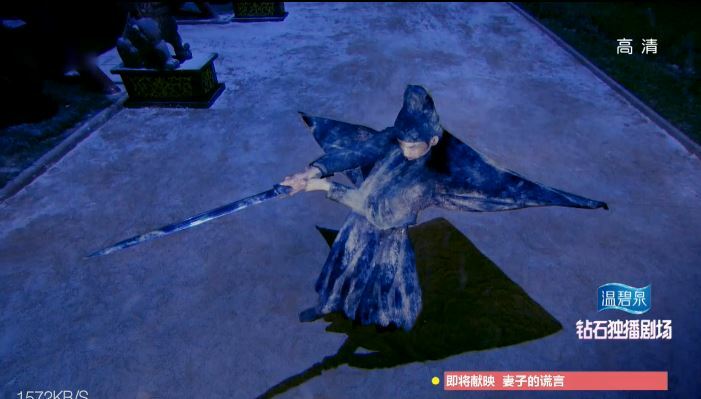 Over by the bridge (wow, this is a very widely spread fight), Wu Qing is against some vampire looking guy with a stick. The guy gets knocked into water but it ain’t over yet as he flies up and uh… launches some water droplets at Wu Qing… Not the best move because Wu Qing’s fan dissembles into a bunch of small sharp pieces and cuts the guy left and right. It’s getting dark and the battle is still ongoing. The white haired guy sends the big brother of the group to Leng Xue, the leader of the Four. Leng Xue has been waiting on top of the building this whole time (seriously, isn’t he bored?) and the two start some crazy spark flying, fire ball throwing fight. Needless to say this poor house is left in shambles. I just hope someone pays for repairs. Wu Qing accidentally pushes the vampire dude into Liu Shan Men’s hands while they are on patrol. He tries to reason with them, but who is listening anyway? Meanwhile, it begins to snow as Leng Xue beats the big bad guy into a bleeding pulp. Just then, the white haired dude sends a group of ninja like fighters to Leng Xue. The ground begins to freeze over and Leng Xue is frozen! Uh-oh. quick, someone sends love’s first kiss! Mister bad guy thinks now is his chance to kill Leng Xue, but the other three of our handsome heroes come to the rescue. Good news no longer though as they begin to freeze as well. Just then a flaming Leng Xue defrosts himself and swoosh, in one stroke he kills all the ninjas. Up in the tower, the white haired guy looks as if he knew this was going to happen all along (how does he see from that high up?) The sky gets bright all of a sudden and Liu Shan Men runs over to claim credit. As they are about to face off, a group of female detectives from Sheng Hou Fu dash over to tell the Four that four government officials were murdered (is four someone on the production team’s favorite number?). The Four split up to investigate and we see a bunch of dead people everywhere – staff, family etc. They realize that they were tricked into fighting with the non-important bad guys while the real stuff was happening elsewhere. They start to hypothesize some hairy monster with tentacles came by to kill people without leaving marks on their necks. Suddenly, a gust of wind blows in and ALL the dead bodies DISAPPEAR. The group of female detectives immediately begin to think it is the doing of a phantom or witch, but Leng Xue is all like there ain’t no such things in this world. Ok, whatever you say, those hairy tentacles aren’t fooling anybody. Meanwhile, in some other city a girl, Chu Yin Xue, is running down the streets avoiding a group of men who are calling her to go with them. Let me guess, she is going to be the lead. Turns out that the Emperor saw a painting of her and summoned her to court. She is not interested because the Emperor is already super old, but this is the Emperor we are talking about here! After bringing her home, her stepmother offers her a drink of tea and knocks her unconscious before sending her off. The stepmoms, they are always so evil in these stories. 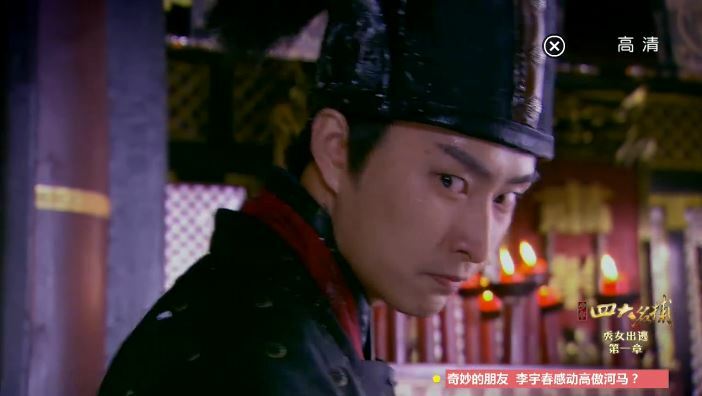 On the way to the palace, Yin Xue saves an escaped girl, He Xiao Yu, from being punished for running away. She learns that Xiao Yu is in love with someone else, but her father insisted on marrying her off to the aging Emperor, even beating her into submission. 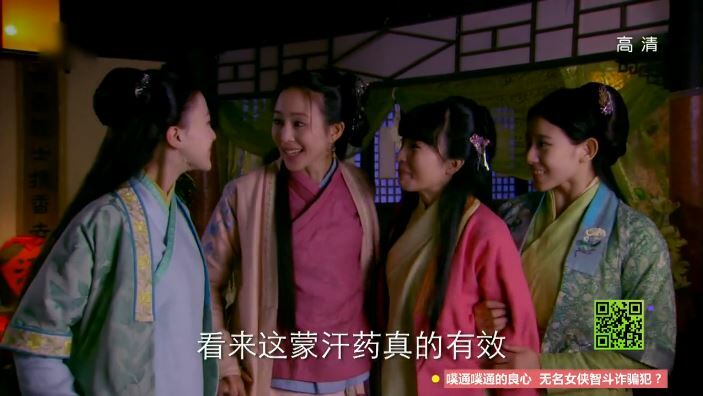 Yin Xue sees this and suggests that all the girls join in on a plan she hatched. At a pit stop, Yin Xue starts to sweet talk the soldiers, filling their cups with alcohol and performing dances for them. Of course, it’s not that simple! The girls have drugged the soldiers so they can escape! 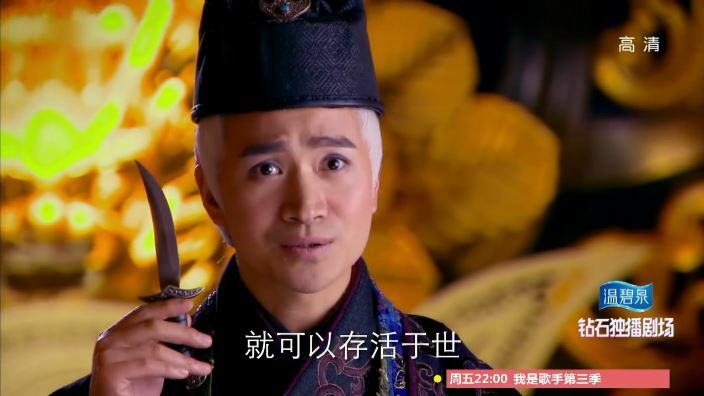 So the white haired dude turns out to be a prince named An Shi Geng. He has basically gone off the deep end. I mean will you look at that make up? The Purple eyeshadow and the intense pink blush? Mhm. He meets with the Si Da Xiong Tu and offers them poisonous tea (without them knowing, of course). He then throws out a dagger and tells them whoever gets it can live while the rest die. Who knew that four bad guys can so loyal to one another? They fight to sacrifice themselves, but Prince An stops them from self harm. Before they leave, he informs them that he is the only one with the cure to the poison, so they have to listen to him in order to live. Eep. A woman in white named Jiu Wei Hu (Nine Tail Fox) also has some sort of deal with An Shi Geng. While he was frozen Leng Xue was able to achieve a new move he was practing. He wasn’t able to succeed before because he is warm blooded and apprently he had to be cold. Sheng Hou Fu tries to examine the Si Da Xiong Tu, but they have disappeared with a gust of wind from Liu Shan Meng’s jail cell. So the Four is based on a series of books and it is roughly based on the Song Dynasty, namely the Northern Song Dynasty (960 B.C. – 1127 B.C. 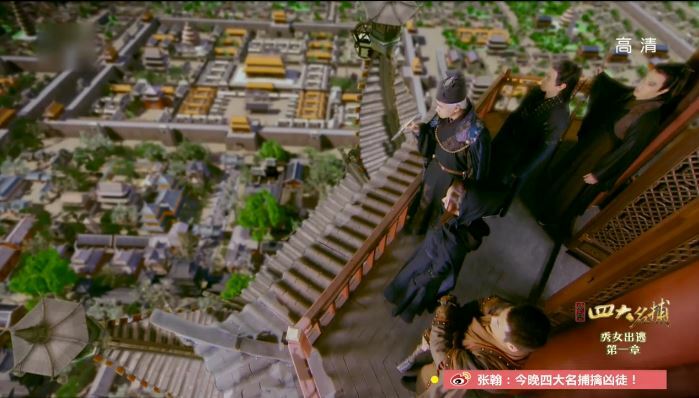 ), but I think the TV series is set in Ming Dynasty. During BOTH these time periods, there is a institution called Liu Shan Men, which means Six Doors. The name comes from the way the building is constructed. At the front of the building is a large entrance with three doors that are connected into one large semicircle. Inside each of the door is another two doors, thus six doors in total. This institution houses the supreme court, the censorate and the ministry of punishments (that sounds really weird). There used to be a saying that once the door opens and you go in with reasons but no money, then you won’t come out. So you can imagine how bad it is. Now, Sheng Hou Fu is fictional, but in the story it reports to the Emperor directly and usually only deals with imperial/royal cases. That’s right, normal folks like us would have no business with them.